Since 1995 Print Pro has been one of the largest, most trusted sources for decorated apparel. At PrintPro Silkscreen, we believe each job is either done right, or it's wrong. Our products are created using state of the art equipment and materials. From design to tagging, packing, and delivery, PrintPro is on time and according to spec. Don't take our word for it! See what other PrintPro clients have to say! Ever wonder how you can achieve that authentic and vintage look? A reverse screen print also referred to as a push through, is when you print on the inside of a T-shirt creating an effect where some of the ink shows through on the other side. PrintPro started in 1995, literally on my kitchen table, with a handmade 1-color tabletop press. My clients were a few small businesses and some local bands. Years later, thousands of hours of hard work, investments in quality equipment, and living on lean economic times, my wife Lisa and I pushed through together to keep the dream alive. After 24 years in business, I still believe hard work, quality materials and a great team of people can accomplish almost anything, no matter how impossible it may seem. 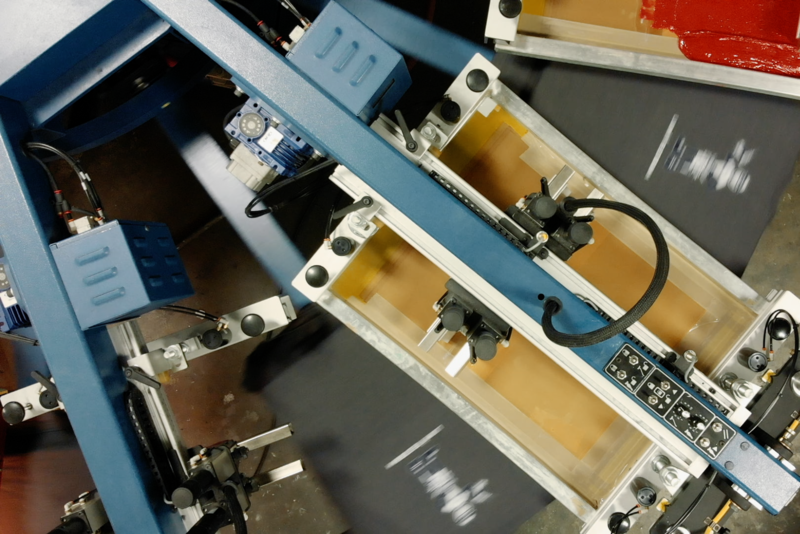 To date, PrintPro has grown to be the largest imprinted apparel provider in the northeast. At 60,000 square feet, we are fully equipped to handle the largest and most demanding projects in the market today. We would love to see you! Stop by our shop anytime. Check out our recent expansion and new equipment. Our image is creating yours! The Arcade Theme by invoke-media.com.